Marco Ragni’s musical history dates back to 1975, when, at the age of 6, he discovers his passion for music by asking for a Farfisa keyboard as present. The love of singing comes only later, fascinated by the vocal harmonies of the Fab Four, the legendary Beatles. At the age of 17, attracted by the California hippie scene of the late sixties and the sound of Pink Floyd and all progressive rock of 70s, he recorded his first tracks of psychedelic music, and his early records, including “Kaleido”(1987) and “Illumination”(1988). 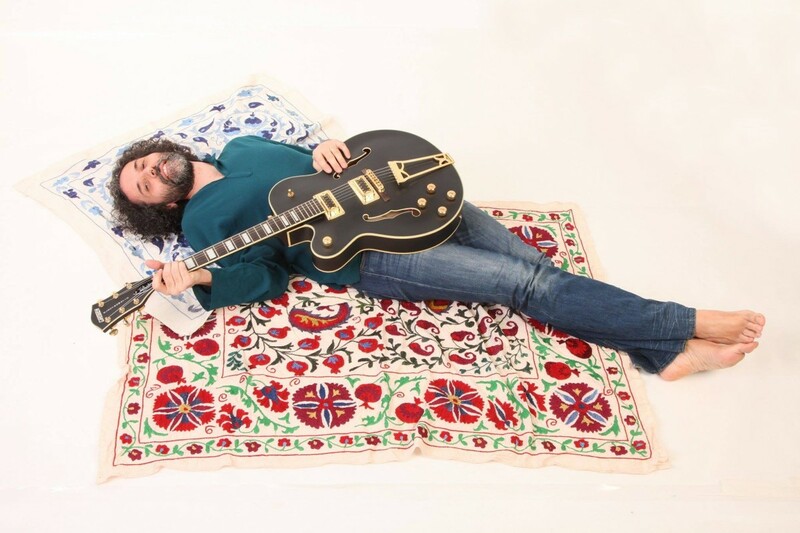 In 1990 he joined the band Deshuesada, which will deeply mark his artistic evolution, leading to the recording of 2 albums of psychedelic pop and to several gigs in Italy from 1992 to 1998. After a couple of years as a soloist, albeit without significant productions, in 2000 he was approached by a rock band, the Quartafila, which later changed its name to Heza. Three studio albums, a recording contract with the Red Led in Milan and many gigs, resulted in a significant leap in quality. From 2007 to the end of 2008 he plays with the Mokers, a funk psychedelic rock band and he records an album called “Don’t forget the music”. In January 2009 he decided to officially launch his solo career, having gained sufficient experience in both music composition and singing. He dove into the study of new recording techniques and honed in his artistic skills. After having composed about a hundred songs, he decided to found a record label conveying all his musical ideas. In late summer of 2009, Crow Records, his independent label, was born and in the spring of 2010 he released his first solo album “In my eyes” containing 14 psychedelic pop tracks. A live album “Marco Ragni Live at the House of Thunder” comes out in August 2010, recorded in Switzerland and performed with his band called Velvet Cactus. Tireless and visionary, 4 months after the release of the album, he begins to work on a new trip titled “1969” released in the fall of 2011. In the same year he also specializes in graphic, realizing many of his videos and cover albums. In the summer of 2012 he released “Lilac days Ep”, 7 tracks of pure modern psychedelic rock. On September 2012 to celebrate his solo 10 years career he produces an album compilation called “Psychedelicious” containing some previously unreleased material, b-sides and singles. A new live project called “Think outside the box” will keep him busy until the end of the year and from this tour will be released on March 2013 a Radio live album called “On air”, with the amazing collaboration of the Joe Cocker’s chorister Pamela Anna Polland, who will record a new 1969’s “Are you there?” version. In June 2014 he signs a contract with the American label Melodic Revolution Records and he records his first rock opera entitled “Mother from the sun”, a double concept progressive rock album, with the collaboration of the writer Alessandra Pirani, the chorister Pamela Anna Polland and other great guests, released on December 2014. During the whole 2015 he plays the acoustic version of the new album with his friends and guitarist, Giovanni Menarello. At the same time he composes a new album between September 2015 and January 2016 called “Land of Blue Echoes” featuring Durga McBroom, vocalist of Pink Floyd from 1987, Fernando Perdomo guitarist of Dave Kerzner Band, Peter Matuchniak from Gekko Project, Colin Tench from Corvus Stone and other great guests from the world progressive rock scene. The album was released on March 21st, 2016. At the end of February he signs a contract with the press agency Synpress44 and he looks forward to a new great live experience during the summer 0f 2016.. After the promotion of his “Land of Blue Echoes” and a mini tour, he returns on his studio to record a new album called “California ” released on October 2016. A 7 tracks of psychedelic/rock Ep inspired by his trip around California. Featuring Ian Beabout on flute, Jeff Mack on bass, Jacopo Ghirardini on drums, Claudio Lupo on Hammond and Enrico Cipollini lead guitar on “Good times in San Francisco”. A couple of months later comes a remastered edition of his Instrumental Soundtrack from 2009 called “Rajanty”. In 2018 He recorded a new album called “The Wandering Caravan” featuring Dave Newhouse on woodwinds, Peter Matuchniak on lead guitar, Jeff Mack on bass and Maurizio Antonini on drums plus Luca Zabbini from Barock Project as special guest on Hammond. Dave Newhouse: Sax, clarinet, flute, keyboards and woodwinds arrangements.